Looking for a chalet for 8-12 adults, preferably > 2,200 metre peak resort with some life to it (i.e. St. Anton, Solden, Zermatt, Verbier, Courchevel, Cortina d'Amprezzo). Accessible by car from Zurich or Geneva airport would be preferable, but Milan or others would be considered. Dates are not flexible, would need to arrive 16th or 17th of February, and looking for the full week (7 nights). Please let me know if you have something that fits the description above. We have availability and can offer your group 'Le Chalet' on a sole occupancy basis. We have an indoor swimming pool and wellness area with sauna & steam room - perfect at the end of the ski day. We also have a cinema room with projector screen, separate cosy television room along with a lounge with open log fire place & amazing mountain views, so there is plenty of space for the group to relax. We have five beautifully decorated bedrooms with stunning en-suite bathrooms – all rooms can be arranged as either twin or double depending on your groups requirements. We have a central village location so it’s easy for members of your ski group to meet up as/when you want on the mountain. We can offer 10% discount on airport transfers and 35% discount on ski equipment hire. We can also help arrange lift passes and lessons. Take a look at our website for further information and get in touch if you've got any questions. We do have availability for your dates. Our wonderful chalet has 8 bedrooms and we can sleep a maximum of 21 guests! Mini Bus with driver at your disposal - just give us a text 10 mins before you’d like being picked up and we can deliver you back to the chalet! We are perfectly positioned just out of resort but only 6 mins drive to the ski lifts. Airport Transfers - Grenoble (1.5hr) can be arranged upon request. We are in the Alp d’huez Ski Area which is high altitude at 3060 so snow sure all season. We have some of the best off piste and back country too and can organise guiding for your group. The après is pretty good too! Let us know if you are keen to book..
Set at 1600m with stunning views we are snow sure, usually ski in(off piste).Directly linked to Verbier you can access the 450km of piste whilst missing the queues of half term. Less than 2 hours from Geneva. We have 5 ensuite bedrooms, 3 twins and 2 doubles, most with balcony or garden views,all providing fluffy towels, toiletries and hairdryers. The main gondola is 600m away and daily lifts are provided. 2 days ski hosting is included to show you the best slopes which are of all abilities with 3,300 m top level runs . We can help with ski hire/lessons/lift pass arrangements. The price for the above is £7500-please take a look at our website www.chalet-charmille.com or call on 44(0)7788142482 for further information. Secret Alps is available for a week starting Sunday, 17 February. This is in Nendaz within easy walk of the lift which gives access to all 4 Vallées. So plenty skiing is available either heading towards Verbier or in other direction towards Veysonnaz. Drive from Geneva is shorter than Zurich but both are possible. We have an indoor swimming pool and wellness area with sauna & steam room - perfect at the end of the ski day. We also have a cinema room with projector screen, separate cosy television room along with a lounge with a open log fire place & amazing mountain views, so there is plenty of space for the group to relax. We have five beautifully decorated bedrooms with stunning en-suite bathrooms – all rooms can be arranged as either twin or double depending on your groups requirements. We have a central village location so it’s easy for members of your ski group to meet up as/when you want on the mountain. Morin has availability for 8-12 adults. We are in Morzine, gateway to Portes de Soleil. We are easily accessible by car from Geneva (80+ minutes) and have safe, off-road parking for up to 7 cars. You would have no need to use cars/worry about parking during your holiday as we offer the services of our own driver to take you directly to and from the lifts (3 mins) and can drop you into town after dinner if you want to continue enjoying the bars and nightlife of Morzine. All rooms are ensuite/have private bathrooms, we also have a very large hot tub on the deck, satellite tv and large seating and dining rooms. Prices start from £945 with discounts for 10+. If you are interested, do take a look at our website (www.morin-morzine.com) and if you like what you see do get in touch. We could have just the thing for you, check out our website www.chillypowder.com. You’ll see we have a unique ski to door location near the Prodains gondola to Avoriaz… no hiking with skis, no squeezing on buses. On our website there's also a 360 degree tour – you can see all our bedrooms so there will be no surprises when you arrive! Hotel Au Coin du Feu is a full service hotel with a chalet style atmosphere. Our 17 unique bedrooms are perfect for couples and families alike. We have an on–site crèche, a playroom for teenagers, a hot-tub, sauna, massage room, private bar and five course evening meals for adults. All our rooms can be booked for seven nights half board or for short breaks. Chalet Plan des Rochers is 80 meters from the hotel and can be booked for exclusive use or by individual bedrooms. Fully catered and staffed with the same standards and facilities as our hotel, Plan des Rochers also benefits from an excellent ski to door location. Chalet des Amis is next door to Au Coin du Feu so can be used as a private chalet or as an annex to the hotel. It sleeps up to 8 people in 3 bedrooms, is ski to door and shares the spa facilities of the hotel. It has it's own private chef but there is the option of joining guests at Au Coin du Feu if there is space in the dining room. Chilly Powder offer the full package – we have onsite childcare, can arrange transfers and we’ll even have your lift pass ready by breakfast on the first morning of your stay with us. We can offer you Chalet Christy in the resort of Nendaz, part of the extensive Verbier ski area and just 2 hrs from Geneva. The chalet is in a great location, next to the ski lifts and a short walk to the resort centre with many bars and acres ski. please take time to look at the chalet and contact us directly for a price. Check out our website www.jackandjillholidays.com and contact us on hello@jackandjillholidays.com or +33 676 127 514 and we’ll send you a tailored quote. We are not based in Austria but can accommodate 8-12 people on the dates that you suggested in Chalet Gros Perrier in Les Houches Chamonix. This is available from 16th February for the week. What you will find is that because its half term the flights are ridiculously expensive I know that from a group that are staying in one of our other chalets. The advantage of this resort is that it is only 1hour from Geneva airport but more specifically can be driven to from the UK which is a far more economic way of travelling. Our price for this week is for adults £895 and under 12's £716. We would offer further discounts if you do have 12 in your party. Also if you self drive the price would be £850 and £680. These prices include a 10% early bird discount. The prices include transfers from Geneva unless stated above and full transport within resort to and from the slopes to explore the full Chamonix Valley and resorts close by although Les Houches is a great resort in itself. Please free to contact us for further details or with any questions. Chalet Claire Vallee is in a quiet area, just moments from the Super Morzine telecabine that takes you to Avoriaz 1800 and the Pleney bubble for the Morzine ski area. All of the local amenities including shops, bars and restaurants are literally on its doorstep- as is the whole Portes du Soleil ski area. The chalet and its private outdoor hot tub have a beautiful view overlooking the river and the surrounding mountains. 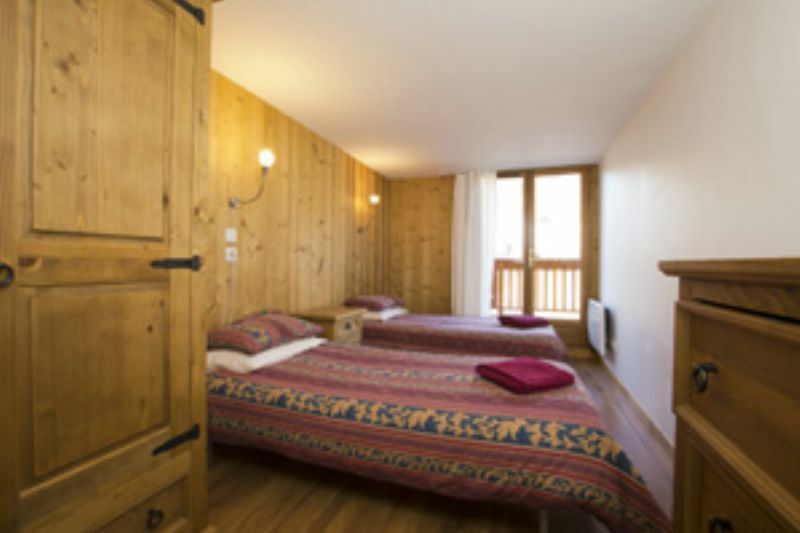 Claire Vallee is a fully catered chalet and sleeps 10-12 people in 5 en-suite bedrooms. All the chalet details & photos can be found on our website at https://www.reach4thealps.com/Winter/Claire-Vallee.php. We have a couple of chalets in La Tania, Courchevel for you depending on your final numbers. 16th Feb - from £810 per person. TOP RESORT- La Tania, Three Valleys, 85% of the area above 1800m. 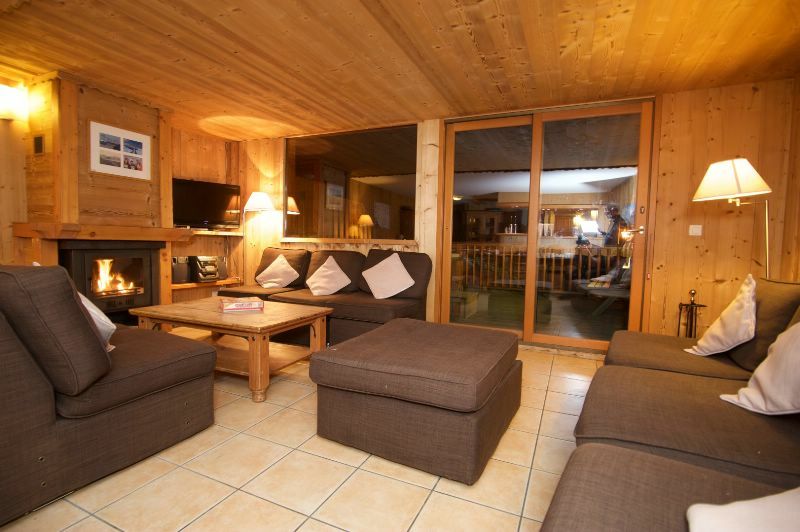 FANTASTIC LOCATION- The chalet is just meters from the slopes and village. LOVELY CHALET- Traditional log cabin chalet, twin and double room’s mostly en suite, dining room and separate large living room with Wi-Fi, TV, DVD, Sky and Nintendo Wii. HOMELY FOOD- Hot breakfast, fresh cakes for afternoon tea and 3 course homely evening meal with quality bottled wine. Packed lunch service. GREAT SERVICE- Small company, relaxed atmosphere and friendly staff.. No. 1 on Trip Advisor and certificate of Excellence for 5 years running. During the winter ski season a minimum stay is 3 nights but with flexible arrival and departure dates. We have a couple of chalets available for you at the Portes du Soleil resort, at Morzine/Avoriaz resorts (up to 2360m). 1 catered option and a ski in ski out at 1474m of altitude. Chalet Pierre ski in ski out. We have an amazing chalet in a great location which would be perfect for you. This location is the ultimate in ski-in/ski - at the foot of the “Bruyeres” gondola lift. You will also find an outside hot-tub on the balcony with views across the Belleville Valley. We are a family owned company in our 29th season. Your holiday is financially protected by our ABTOT bond making your money 100% safe. Our Chalet Ulysse in Zermatt is currently available for the week starting 16th February. Looking up at the Matterhorn itself, this charming chalet comfortably accommodates 12 adults in 6 twin or double bedrooms and is just a few minutes walk from the Matterhorn Express gondola lift. We can help with road transfer arrangements from either Geneva, Zurich or Milano, all of which are popular gateways for Zermatt although post popular of all is the efficient and frequent train service from Geneva or Zurich airports directly to the centre of Zermatt, with only one change of train in the valley below. The price for the chalet on a fully catered basis for the week is CHF 28'000, including daily housekeeping with mid-week change of linen and towels, breakfast and afternoon tea, in-chalet fine dining on 6 evenings with all drinks provided AND a qualified ski guide/instructor to help you make the best of Zermatt's massive international ski area which boasts Europe's highest pistes at over 3800m.. If you would like to know more, please look at the details of Chalet Ulysse on our website at www.matterhornchalets.com or contact us directly by 'phone on 0041 79 247 1588 to discuss your requirements. Can you give me an indicative price for Chalet Christy for 10 people from the 16th to 23rd of February? Would you normally offer this accommodation with full catering (dinner, breakfast, etc. ), or just as-is/self-catered? I am not looking for flights or transportation with this. Chalet Christy is ran on a catered basis during the winter months. 6 Evening meals with complimentary wine and soft drinks served during dinner. The chalet is in an excellent location, just 50 m to the gondola, giving access to the extensive Verbier 4 valley ski area. Price for 10 adults will be CHF 12'000 for exclusive use of the chalet. Chalet Chiron is available 16-23 February 2019, 5 bedrooms and 5 bath/shower rooms. Can sleep 12 with the use of double sofa bed in a large twin room. Ski in/out, located by a green piste which takes you to 2 main chairlifts for access all ski/board areas. 1 hour drive from Geneva, located on a private road, can park 5 cars. only a couple of minutes walk to village centre. Price €5090 self catered includes linen, towels, tea towels, wifi, final clean, sauna, wifi. Lots of living space, located over 3 floors. Laundry room, fully fitted kitchen, smart TV and surround sound. We can offer your required dates in one of our beautiful chalets. Chalet Daisy, Chalet Rosalie or our 'Ski In' Chalet Le Mousseron both conveniently located just 1hr15mins from Geneva Airport.